FROM SHAW AFB: Travel north on Hwy. 441 to Fish Road (just past 5000 Area housing). Take left turn onto Fish Road and follow it until you reach the intersection of Fish Road and Hwy. 261. Go right onto Hwy. 261 and follow road until you reach the intersection of Hwy. 261 and Hwy. 521. Go left onto Hwy. 521 and continue north on Hwy. 521 through the town of Camden. On the other side of town take a left onto Hwy. 97 (Roses Dept. Store and Food Lion on the left and Seafood Hut restaurant on the right). Follow Hwy. 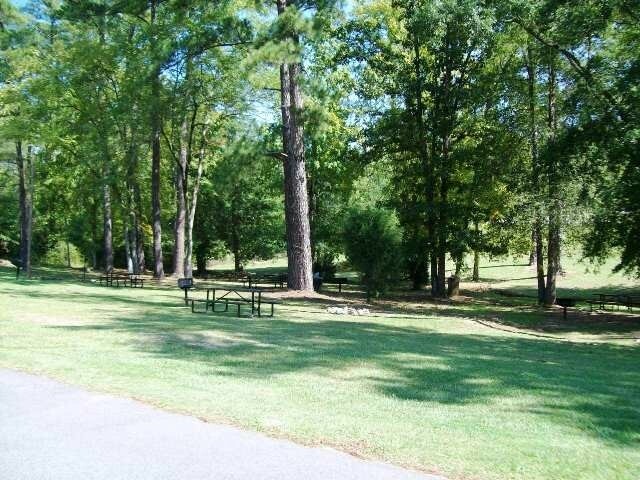 97 about 9 miles until you see the signs for Wateree Recreation Area, turn left onto Baron DeKalb Road and follow road around into the park. Camp entrance on the right before the parking lot. Alternate: Travel north on Hwy. 441 to Hwy. 521. Take left turn onto Hwy. 521 and follow the remainder of the directions above. --- FROM COLUMBIA: Travel east on I-20 to the Camden (Hwy. 521) exit. Go north on Hwy. 521 through the town of Camden. On the other side of town take a left onto Hwy. 97 (Roses Dept. Store and Food Lion on the left and Seafood Hut restaurant on the right). Follow Hwy. 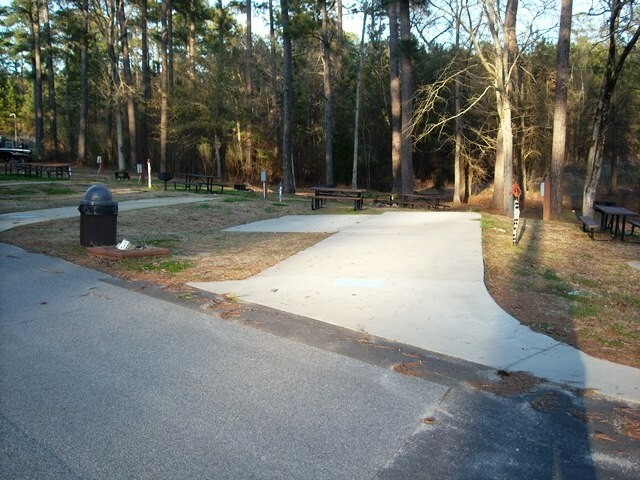 97 about 9 miles until you see the signs for Wateree Recreation Area, turn left onto Baron DeKalb Road and follow road around into the park. Camp entrance on the right before the parking lot. --- FROM I-95: Take I-20 west from I-95 (Florence, SC area) to the Camden (Hwy. 521) exit. Go north on Hwy. 521 through the town of Camden. On the other side of town take a left onto Hwy. 97 (Roses Dept. Store and Food Lion on the left and Seafood Hut restaurant on the right). Follow Hwy. 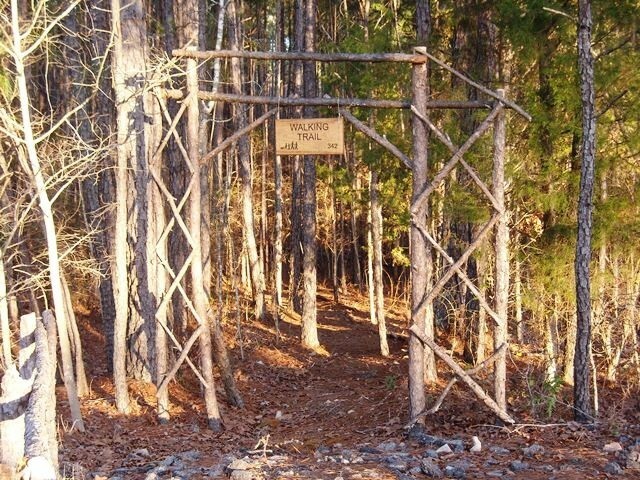 97 about 9 miles until you see the signs for Wateree Recreation Area, turn left onto Baron DeKalb Road and follow road around into the park. Camp entrance on the right before the parking lot. 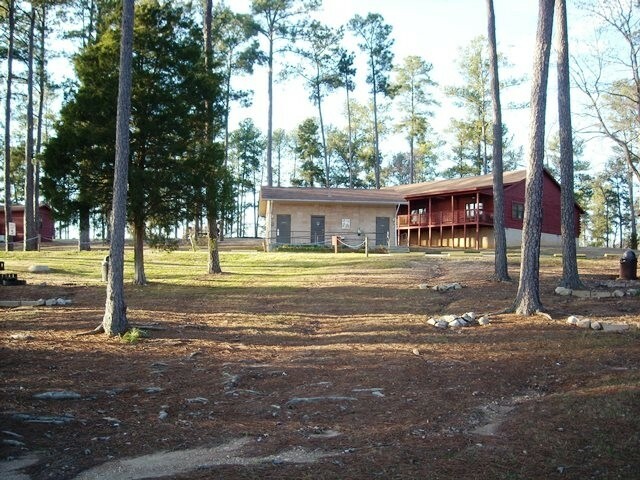 Wateree Recreation Area, 2030 Baron DeKalb Road, Camden, S.C. 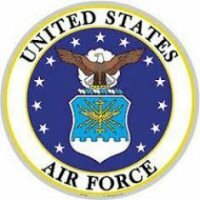 Active Duty assigned to SHAW AFB may make reservations up to 120 days in advance, all other active duty may make reservations up to 90 days in advance. All other authorized users are 60 days in advance. Payment is required at the time of the reservation. WiFi available. Daily rate, $4.95 (24 hours); Weekly, $14.95; monthly $49.95. WiFi uses Tengo Internet. 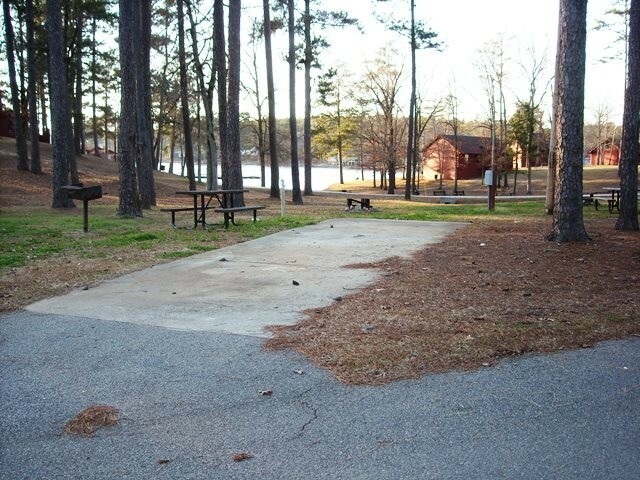 Pets allowed in campground with usual leash and clean-up rules. 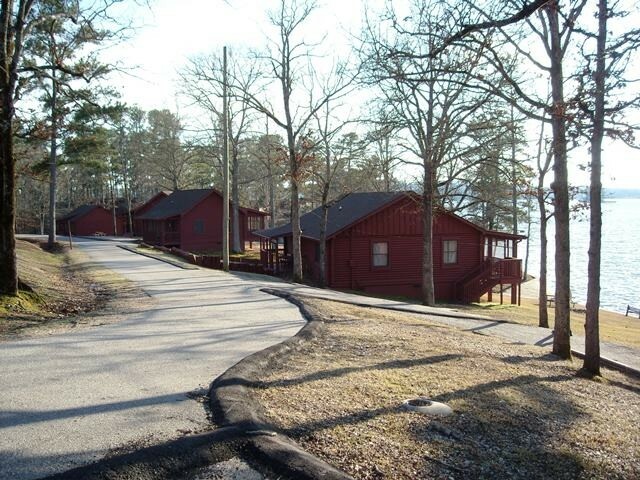 Pets are also allowed ONLY in cabins #4 thru #8 with a $10 per night, per pet fee. Limit of 2 pets. Pets are not allowed on the beach. 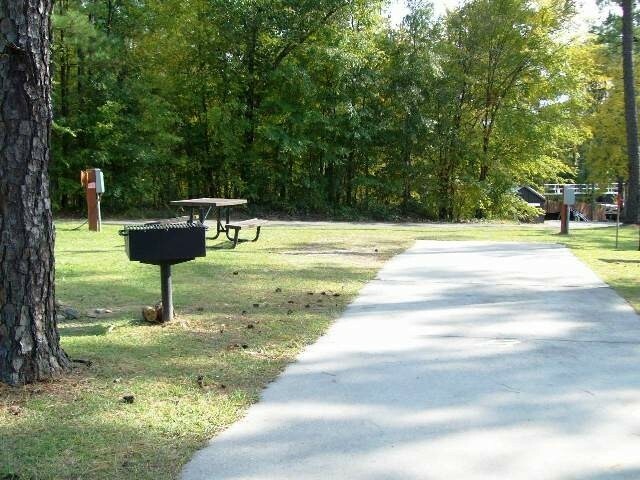 Some RV sites are not level - all 6 new RV sites are level and come with a 10 x 20 concrete picnic pad. Lower rates are for winter (off season). In-season dates: April 1 - Oct. 31; Off-season dates: Nov. 1 - March 31. 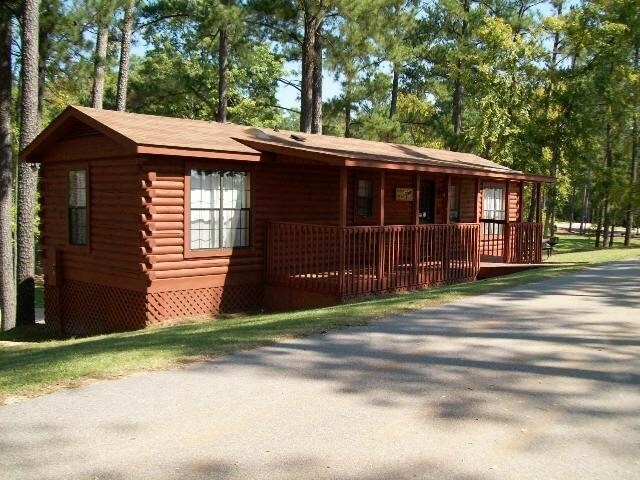 Cabin rates vary on season and type of accommodation. 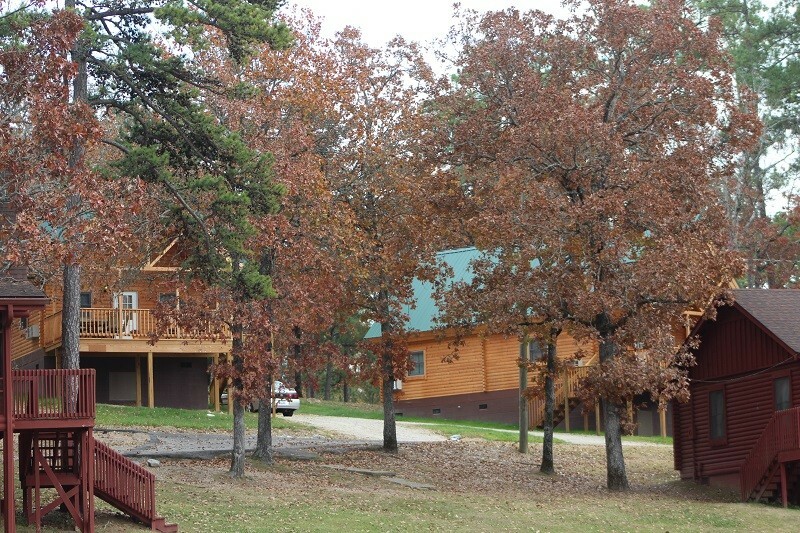 2-night minimum stay in the cabins on weekends. 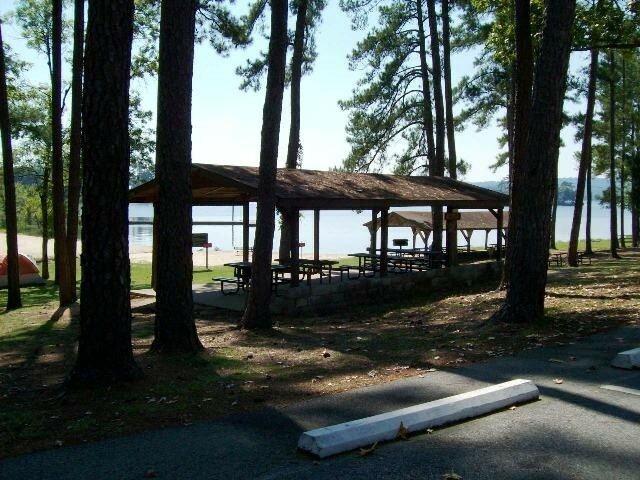 The Wateree Recreation Area is located 34 miles north of Shaw AFB. 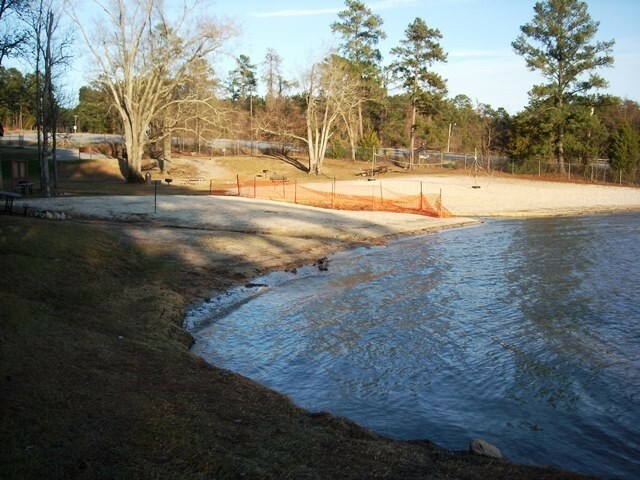 The recreation area borders Lake Wateree and is available for daily or overnight use. 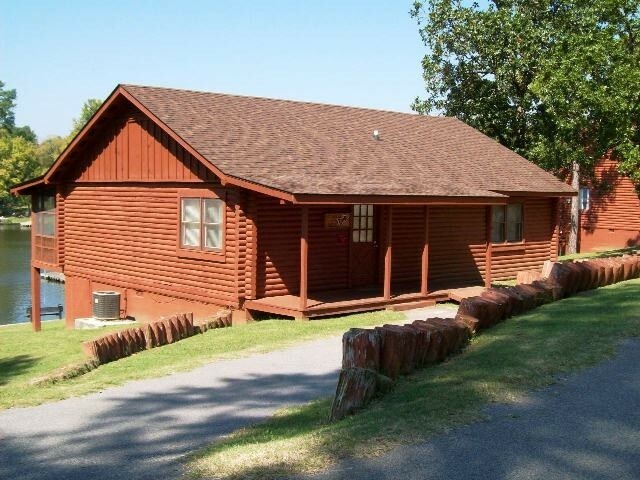 The 25-acre scenic site offers 11 two-bedroom, 2 three-bedroom and a one-bedroom cabin that are fully self-contained and include a a VCR/DVD. 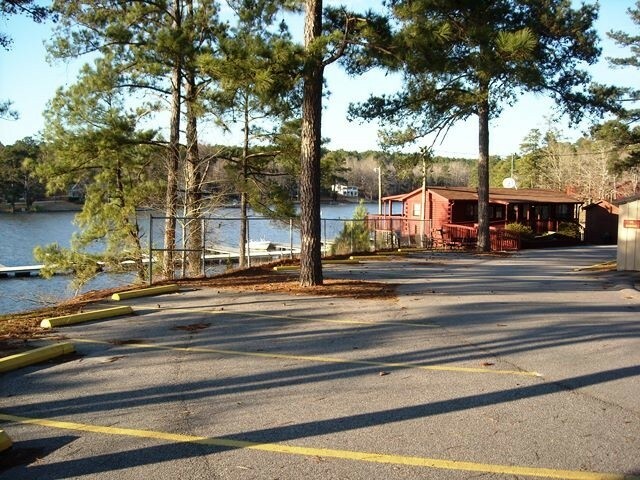 The site also includes a 3,500 square foot recreation center with a game room and kitchen for use by groups for private parties, conferences and special programs conducted by the staff at Wateree. 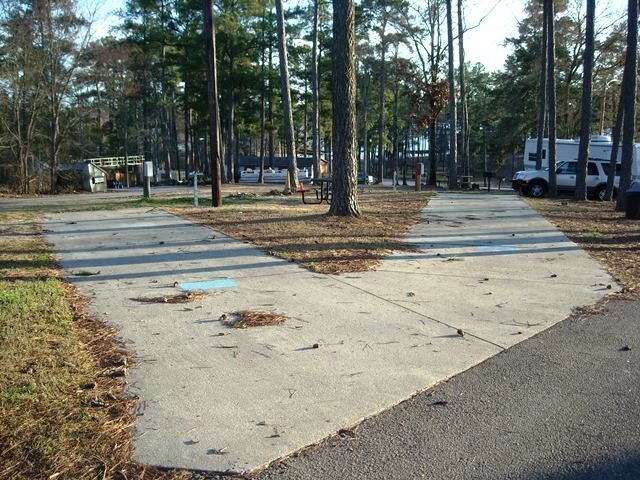 There are 22 paved trailer parking sites of various sizes, tent camping throughout the park, fishing and boat docks, a deep and shallow boat-launch ramp. 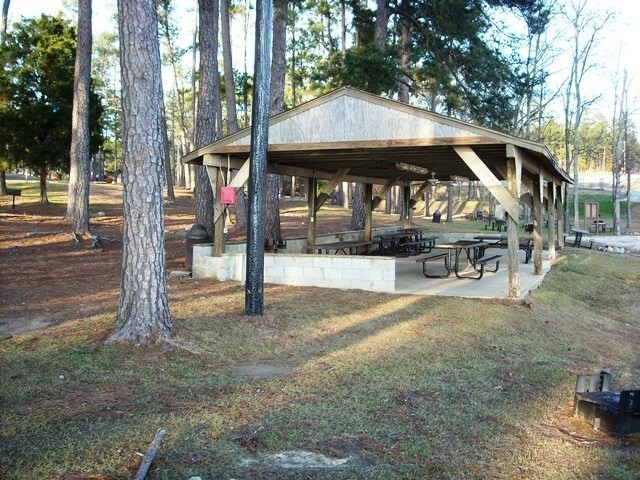 Also available at the park are three covered picnic pavilions, one bathhouse, a playground area, a seasonal beach area, picnic tables and barbecue grills throughout the park. 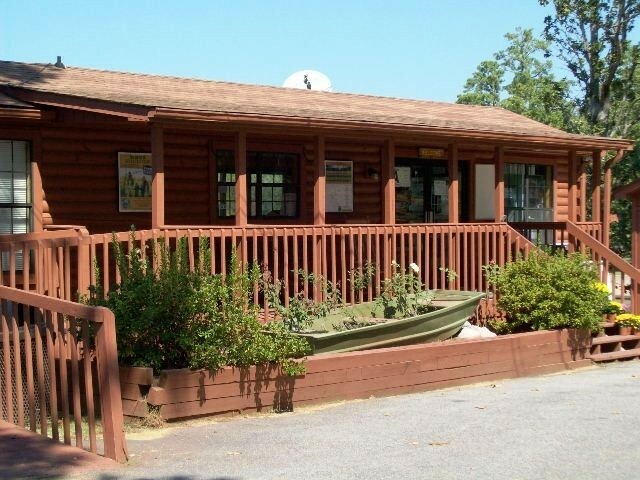 Fishing boats, ski boats and pontoon boats, along with other water sports-related equipment, are available for rent. Water Sports, Fishing Bait, Grills, Boat Storage, Ice, Boat Gas Pump, Ski Rental. Fireworks and firearms are not allowed. 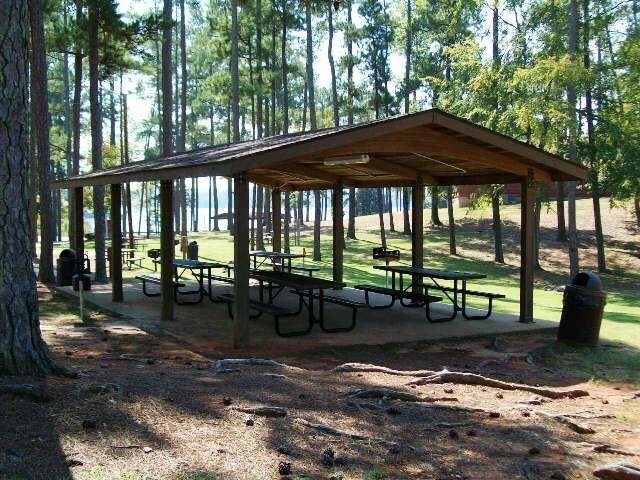 This is a beautiful campground on Lake Wateree. Private beach for swimming and/or beach volley ball, covered picnic & BBQ areas, boat ramps & fishing docks, clean bathrooms and log cabin rentals. I stayed here for a month in my RV. Camp hosts were friendly and helpful. Great location to be out in nature. Closest small town is 15mins away. The city of Columbia SC is about 45mins away. 2011 was our first visit and we stayed in a chalet by the lake and since then we've returned three times with our fifth wheel. My only complaint is, it's not free. ? Spent 5 days here over the last weekend. Wonderful place! 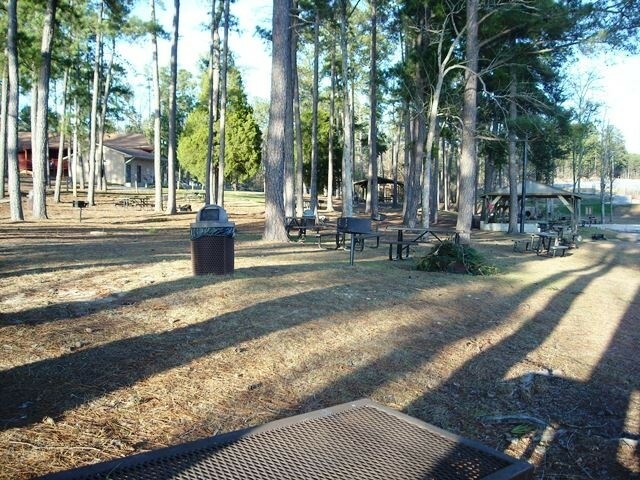 great staff, grounds are neat and clean, View of the lake is outstanding. We have already made reservations for a return visit. Only negative was the layout of the utilities. Bring an extra long sewer hose, water hose and electric cable. Wateree Recreation area is one of the best campground that I've ever been and definitely will always come here. Mr. Curt and his staff went above and beyond their duties and they are all friendly. We really did enjoy our stay here. 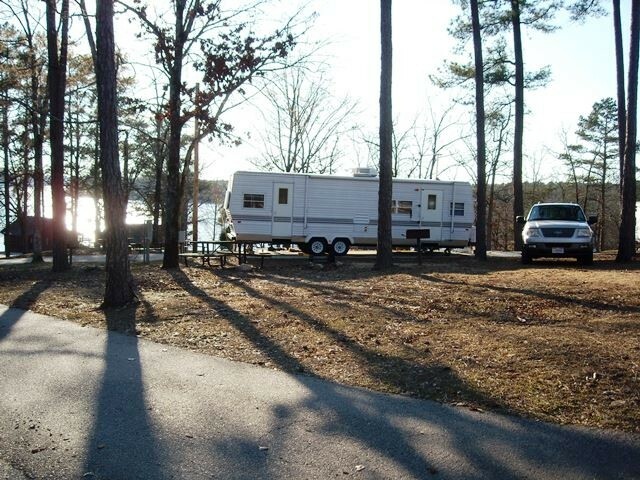 It's not big campground but you have pretty much everything you'd want when you are camping, there's enough things to do like fishing, kayaking and you can also rent a pontoon. On the top of that, the cabin is very nice. 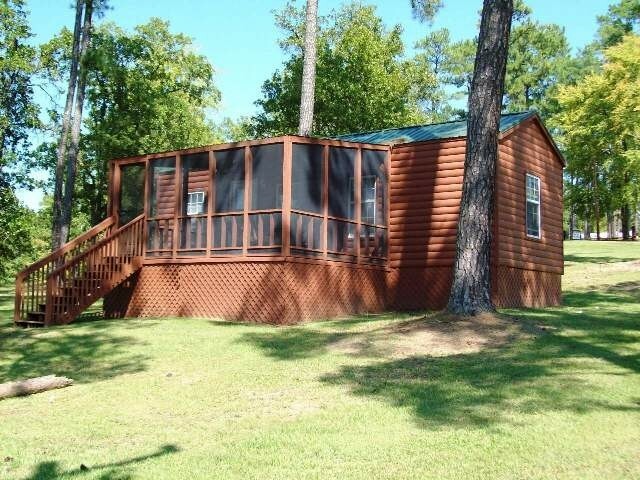 We rented 2 bedroom cabin there was only me and my husband plus 2 dogs. 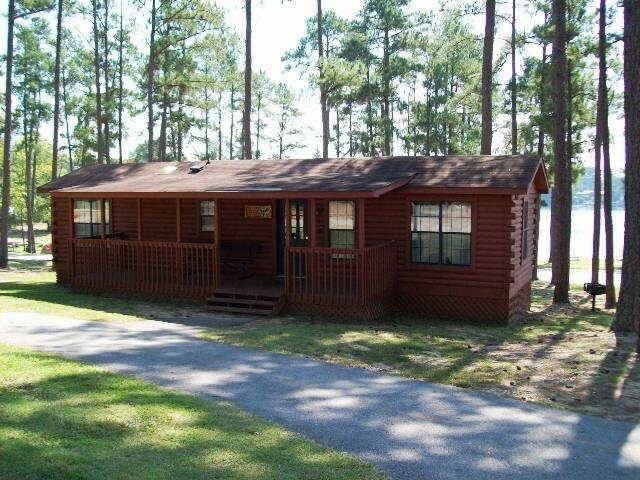 the cabin 4-8 are pet friendly and that is really a A+++ because many people like us are looking for a pet-friendly cabin and it's in reasonable price as well. 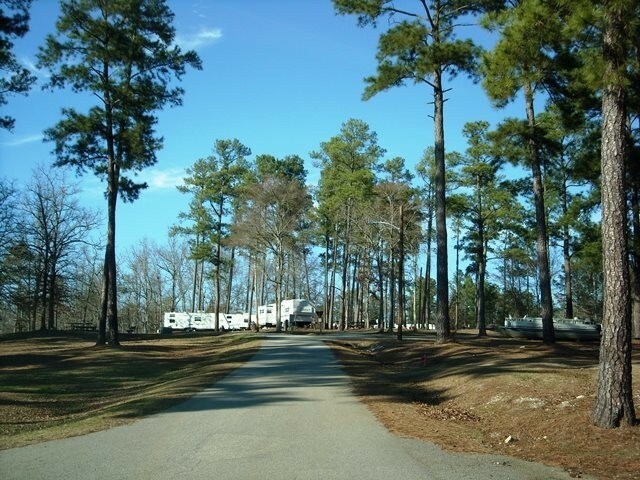 The campground is very well-maintained and we're looking forward to go here for our getaway! 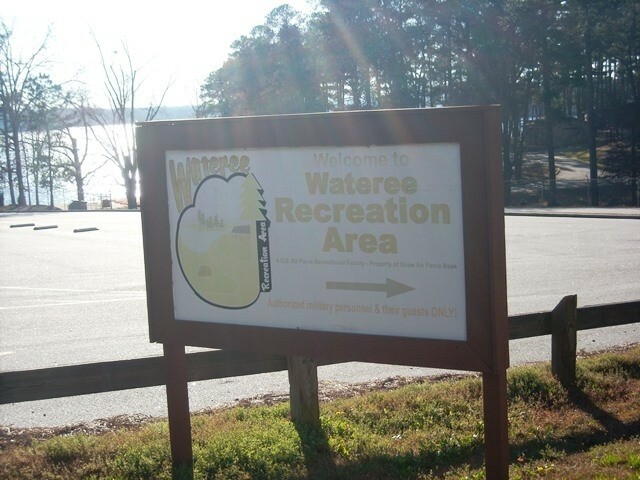 Thank you Wateree recreation area and great job! Curt and his entire staff go out of their way to make this the best campground experience possible. There are activities for kids every weekend to go along with the well maintained beach and park. They offer rental equipment for every activity and go out of their way to make you feel welcome. 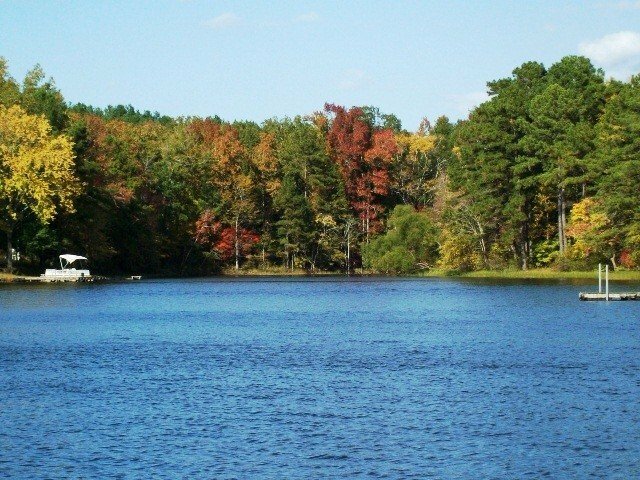 Lake Wateree is a great lake for fishing and watersports alike. People working did not know where the sites were located when I asked for direction and than someone was already in the location given to me so we had to find another spot which wasn't hard because very few people were in the campgrounds. NO HEAT IN THE SHOWERS temp was down in the 30's the night we stayed. Stopped by for a couple nights stay. I've heard good things about this place and needed to check it out. Being in the "off season", it was quiet and slow. But I can see this being a busy location during the summer. Not a large recreation area, but it has most of what you need for a fun outing along the lake. Staff was very friendly. Some of the facilities are starting to get old and it shows. But they do the best they can with them. Only a few RV campers and a couple cabins rented this weekend. Too bad the WiFi isn't free, but our Verizon worked fine. We were there in Feb. so there was no problem getting a last minute lot for our trailer. Was very nice and quiet, no city noise no hwy. noise and overall very clean. Personnel are very nice; we had a flat tire on our trailer and they had everything needed to fix it. I can imagine that in the summer it is full and probably not so quite. 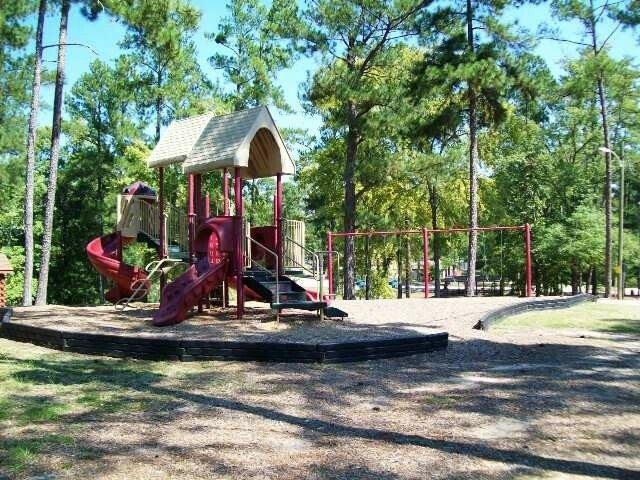 Has playground and is very child friendly. There is a small Laundromat but not in good shape and very dirty. Internet does not work so well and I can imagine that is even worse when there are many campers there. We used McDonalds about 9 miles away in Camden. 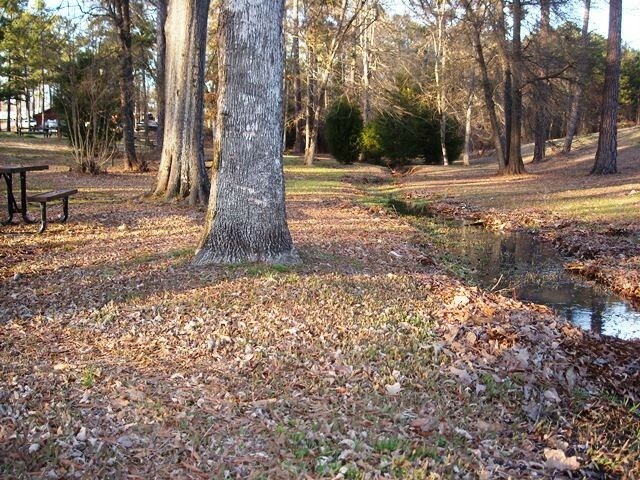 This is nature pure here also take time to visit Camden the oldest inland city in SC (1732). If you want to get away from the city to a nice resort with your kids then this is great! We made our reservation last minute but Kyle told us our site no. over the phone and said to pull-in when we arrived. We had a problem with our faucet and Kyle suggested we go to WalMart and find a "cheap replacement" which we did and he put it in for us....great service! We then met the manager and he was very friendly and welcomed us back anytime. The weather was gorgeous and next time we'll stay longer and take advantage of the lake. Let start off by saying the staff are awesome, they go out of there way to accommodate your requests. The campsites are level and clean, a little close for my liking but I did not drop rating for that matter because there was enough space between sites I just like a vast amount. This place can fill up fast so make sure you call ahead. If you are a boater this is a dream campground for you ( i'm not) and if your not you will not be disappointed either. 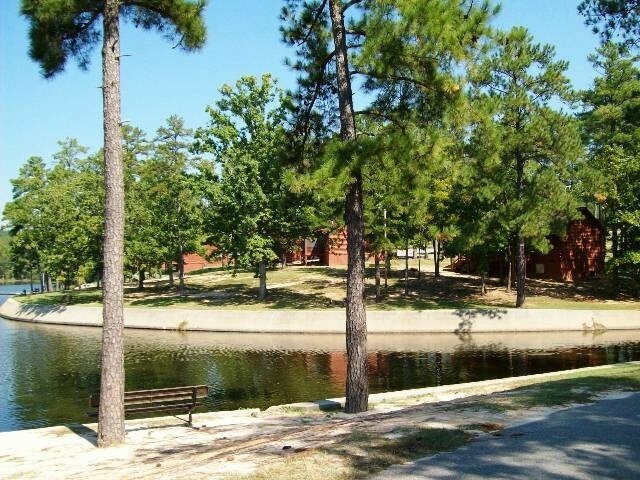 This is primarily a short-stay, boating and fishing facility for Shaw AFB. (Crappie fishing was great while we were there.) 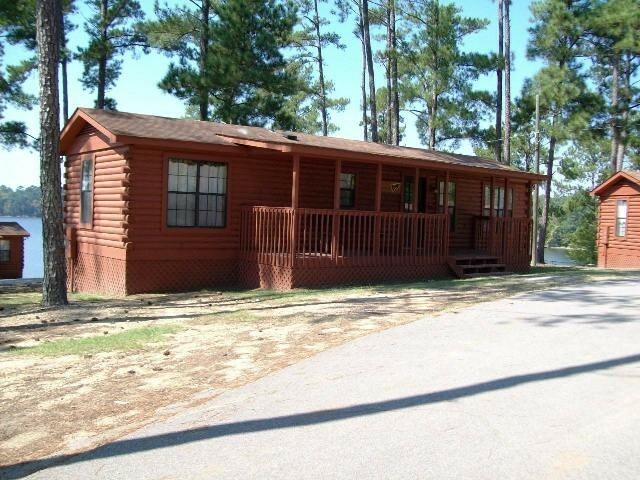 However, it is certainly suitable for snow birds who want to stay near a lake in a moderate winter climate. It can drop below freezing in winter, so be prepared to drip the water when the weather report so predicts. And Curt and his staff are energetic and highly motivated to make it a great experience for everyone, regardless. The laundry facility is minimal (2 small stacked units that were not very clean) so we drove into Camden to "Spin City" to do the wash. It was a convenient time to stock up on groceries, also, so not a real problem. The bathhouses are old, but serviceable, however they never had hand soap or towels stocked. WiFi is expensive, but 3G and telephone signals were fine, and we used a smart phone for internet connection. You can do pretty much anything with that except view Netflix. Over the air HD was good, and was not difficult to find a clear spot to point a satellite dish. JUST RETURNED FROM TENT CAMPING & CABIN RENTAL FOR 3 NIGHTS. ANOTHER MILITARY COUPLE AND I INVITED OUR KAYAK CLUB FOR A LONG WEEKEND AT WATEREE RECREATION AREA. WE HAD A WONDERFUL TIME. I TENTED LAKE SIDE. 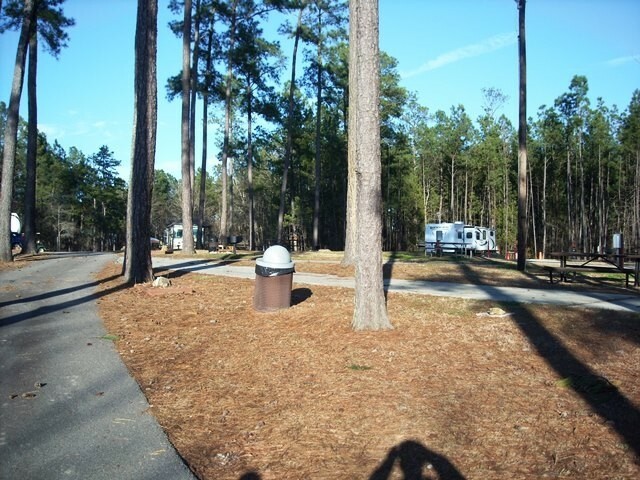 THE SITES WERE CLEAN, GRASS CUT AND SAW NO FIRE ANT NESTS ( AM FROM MYRTLE BEACH AREA WHICH FIRE ANTS ARE A BIG PROBLEM). 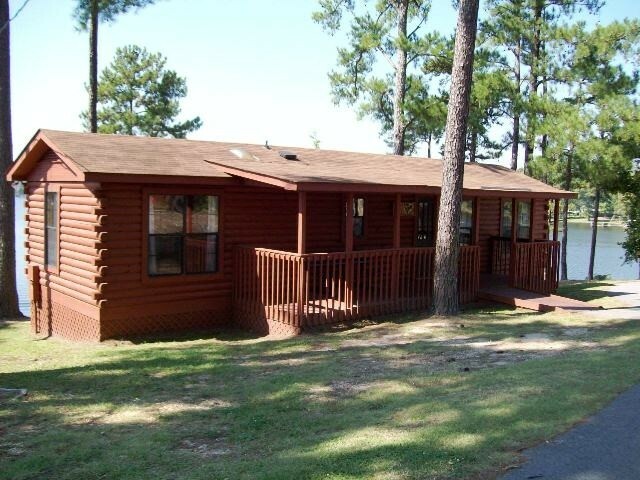 THE CABINS WERE CLEAN WITH NEW TV AND HAD MOST EVERYTHING YOU WOULD NEED TO COOK WITH. THE STAFF & MANAGER WERE VERY FRIENDLY & HELPFUL TO US AND OUR GUESTS. I NOTICED THAT THE FACILITY WAS VERY KID FRIENDLY WITH A NICE PLAY GROUND, GREAT DOCKS FOR FISHING, SUMMER PROGRAMS AND EVEN OUTDOOR MOVIE WEEKENDS. I CANT WAIT TO RETURN FOR LONGER THAN JUST A FEW DAYS. 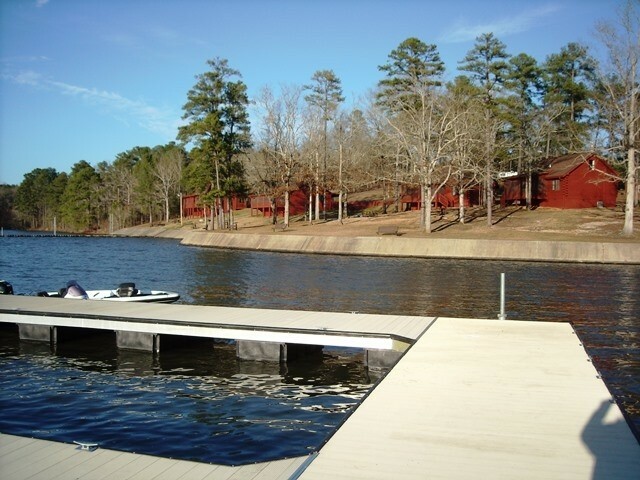 This is our 4th year of coming to Wateree. 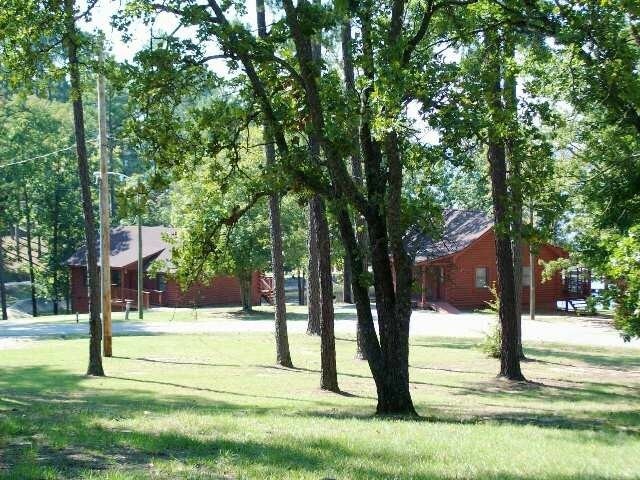 The campground is a fun place and we have noticed a major improvement in the cleanliness of the cabins. The campground manager is always friendly and helpful. We look forward to many more visits. 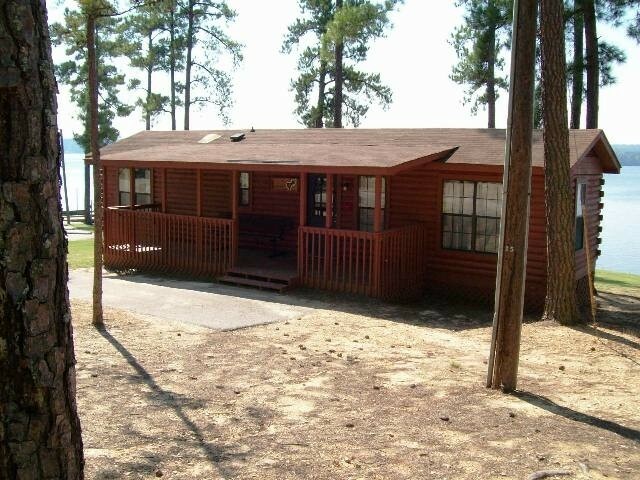 We spent two nights at Wateree this past weekend (27-29 May 11). We have stayed here several times in our 5th wheel Toy Hauler. We had spot 21 on the top, as always we were not disappointed. The entire staff here is awesome. This is a very pretty area. We've been on site 5 which is a little tight for a 40' Class A, but we have a great view of the lake from 2 points. We had to pull all the way to the front to get our satellite to work. Last night they had a dance party for the kids & a movie. There is a small beach & the lake there is shallow. There are lots of trees & plenty of shade, except for the beach. Didn't use the bathhouse, but the laundry leaves a lot to be desired - 2 washers & dryers & kind of expensive $ 1.50 per wash & $1.75 for dry, but it does dry for 63 minutes. It's just a tiny room & not especially clean. Other than that, Kurt & his staff work very hard to keep this place clean. They were very friendly & available. You see Kurt in his golf cart many times a day, there to take care of any problem. They now have sewer hookups, which was a pleasant surprise when we arrived. We've enjoyed our stay here very much. The town of Camden isn't too far (abt 10 miles) for any shopping needs. If you had a boat, you would want to come here. You can also rent them here. 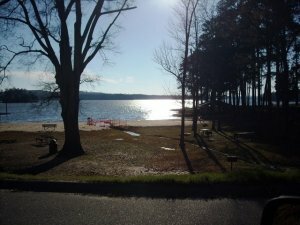 Did my annual trip to Wateree this year – went this time in May and as always was not disappointed. I don’t camp but rather stay in the cabins when I go. 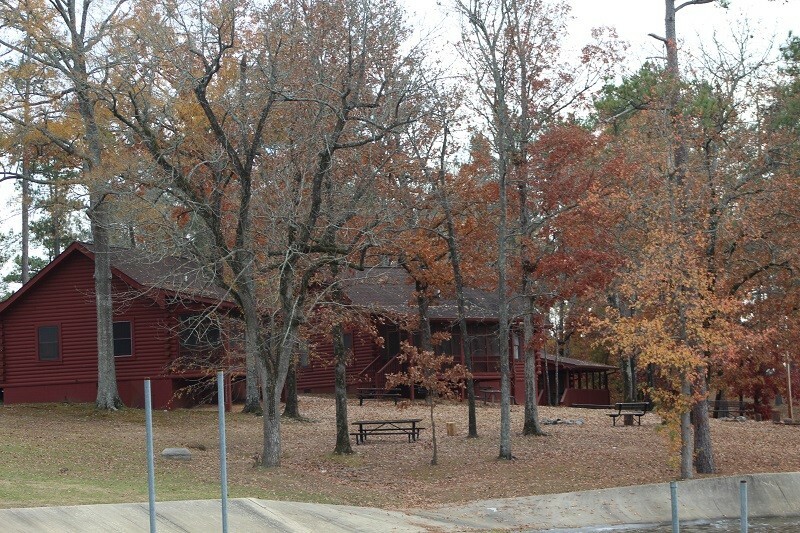 I could tell that they’ve been working on improving the cabins – noticed that several of them had new screened in porches (which face the lake) along with new patio furniture inside the screened in porches. I use Verizon for my cell phone and wireless and didn’t have any problem whatsoever getting reception for either one. Whenever I needed any assistance or had a request Curt and/or his staff was right on it and came through. 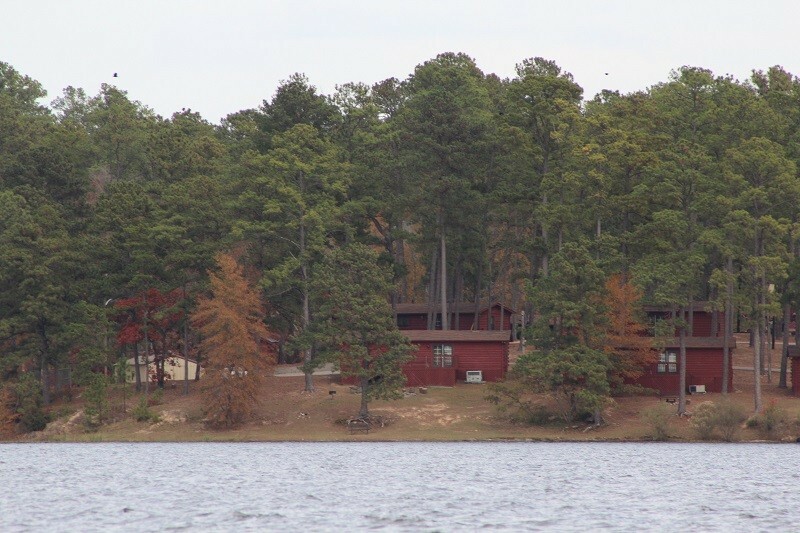 Prior to this trip we stayed at Wateree over New Years – boy was that a blast. A New Year’s Eve event was put on in the large Recreation Center that is located in the park – live entertainment was provided, music in-between sessions, noise makers and hats and more enough food – even my teenage daughter enjoyed herself that evening. Like I’ve said before I travel all the way from Iowa to come stay here because neither I nor my family have ever been disappointed. 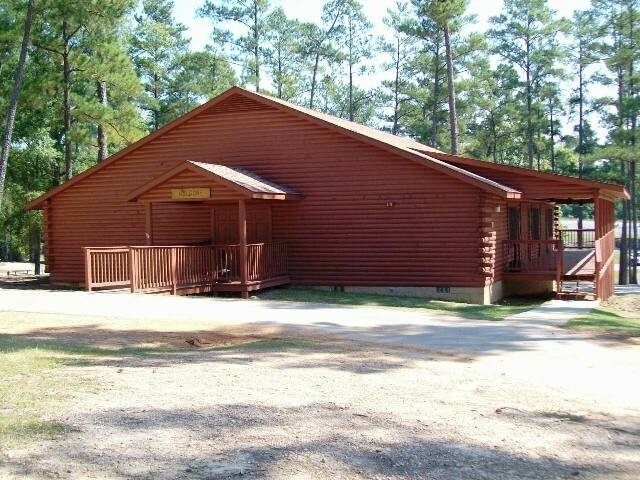 I started taking my family to this site when I was stationed at Shaw in 1991 - I've since retired here to Iowa but continue to enjoy what Wateree has to offer - someday when I win the Powerball I plan on buying me a place at Wateree. Just stopped in for an overnight during a trip. We were impressed by the friendly reception when we called in and when we arrived. We were told by the office that the contract has been approved to add sewer to the sites, and also to expand the number of sites. New sites are to have cement pads under the tables also. He said that by next year, the campground "will be bigger and better". The floating docks have apparently been recently replaced, and additional new floating units are stacked in the area, apparently for expansion.